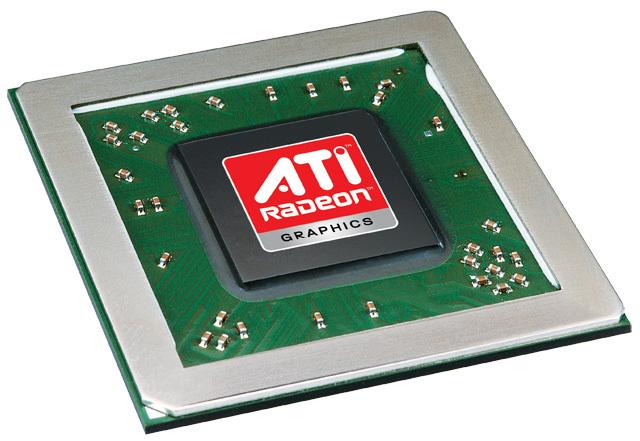 This is a DirectX 10 graphic card from ATI and direct competitor to the NVIDIA GeForce 8600M GS graphic card for laptops. This would mean that the card is able to represent all modern games in medium resolutions and without Antialiasing without motion interruptions. Due to the Avivo HD videoengine the Chip accelerates HD Video like HD DVD, Blu-ray (Video Decoder for H.264/AVC, VC-1, MPEG-1, MPEG-2, MPEG-4/DivX Video Codecs). Furthermore PowerPlay 7.0 brings longer battery runtimes. Furthermore, ATI Mobility Radeon HD 2600 is certified for Windows Vista (for the Aero user interface). Technically, the chip owns 120 stream processors which are able to manage vertex-, geometric or pixelshader operations. Therefore DirectX 10.0 and Shader Model 4.0 are supported. To be mentioned is also the 256 bit wide ringbus. In games the HD 2600 positions itselft between GeForce 8600M GS and GT. Crysis and World in Conflict are only in low details fluently playable. This is a DirectX 10 graphic card from ATI and direct competitor to the NVIDIA GeForce 8600M GT graphic card for laptops. It is a higher clocked version of the HD 2600/2700 It appeared for the first time in the desktop replacement laptop HP Pavillion HDX 20" and showed good benchmarks (accompanied by Intel T7700 Core 2 Duo processor). The performance lies a bit over the 9500M GS middle class graphics card. Modern DirectX 10 games are playable but not with highest details. Due to the Avivo HD videoengine the Chip accelerates HD Video like HD DVD, Blu-ray (Video Decoder for H.264/AVC, VC-1, MPEG-1, MPEG-2, MPEG-4/DivX Video Codecs). Furthermore PowerPlay 7.0 brings longer battery runtimes. Furthermore, ATI Mobility Radeon HD 2600 XT is certified for Windows Vista (for the Aero user interface). Compared to the Deskto HD 2600 XT the Mobility version is slower clocked and therefore a bit slower.